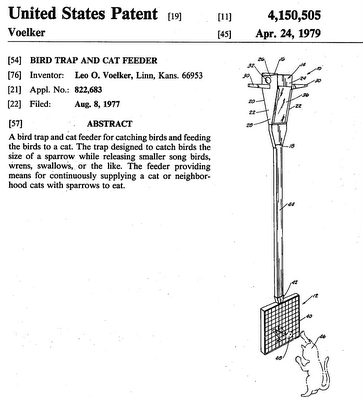 I've been browsing birdfeeder-related patents recently for a secret project, and came across this appalling horror of a patent. 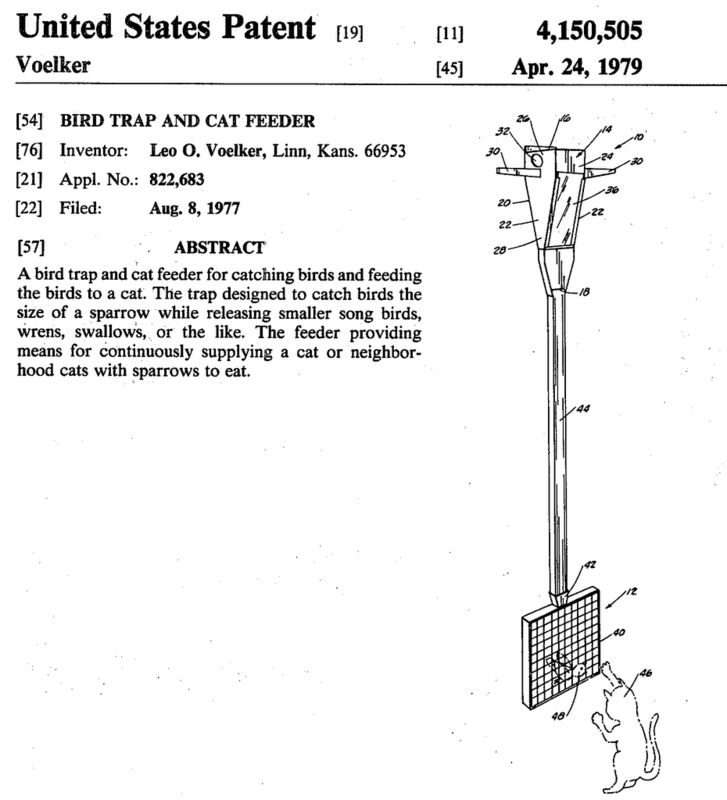 A device that captures songbirds and conveys them to a waiting cat! This depraved inventor should burn in hell! This beautiful bird is looking for sunflower seeds in the snow beneath the Seattle BirdCam. It's not apparent in this video, but his eyes are deep red! This male Sharpshinned Hawk spent a few days hanging around the SeattleBirdCam in late December 2006. He even tried to eat at the suet feeder!